And then I accidentally a character. This took three days to make, aaaah! It barely felt like that much time 'cause I was having a lot of fun with Blender. I've been learning it for the past month or two, and I think I'm not too bad at it! He's (it's*?) a travelling scholar, and a professional cutie (at least to me). I'll most likely be reusing him (it*?) 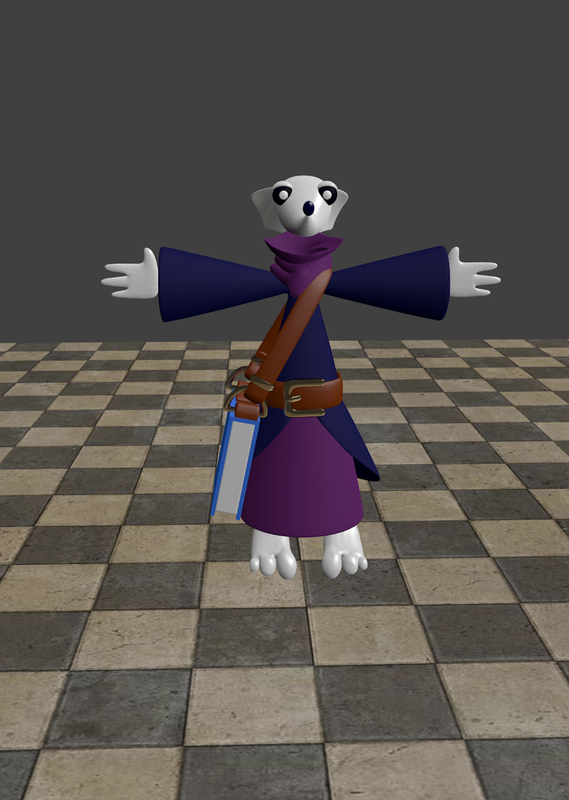 once I've figured out how bones and rigging work. The last image is a concept sketch I made to ground the design before starting on the actual thing.